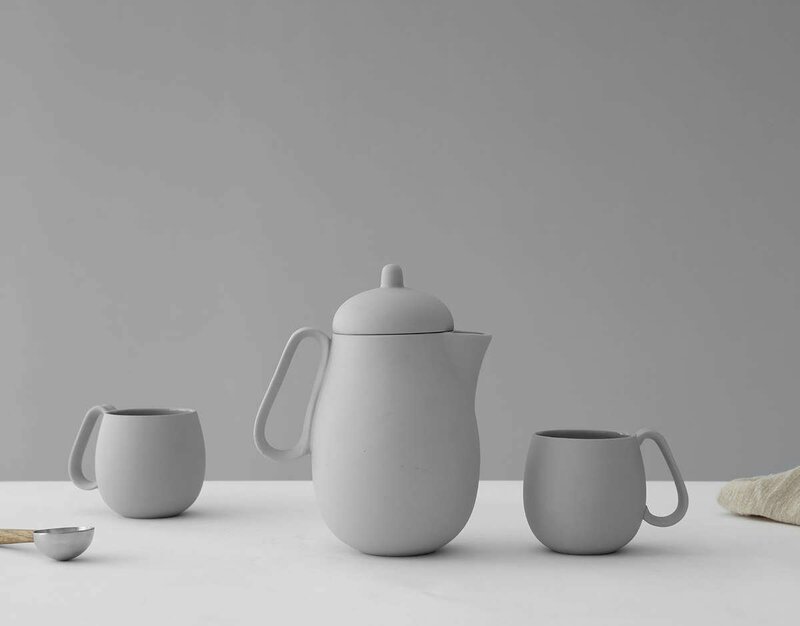 The Nina is a modern spin on the classic teapot. It features a large comfortable handle, textural finish and distinctive smooth shape. Perfect for a calm afternoon of quiet contemplation, you may find you’ve drained the whole pot before you know it. Size: L: 15.8 cm - W: 11.5 cm - H: 20.0 cm - Vol: 1.00 L / 34.00 fl. oz. What are the advantages of a porcelain teapot? 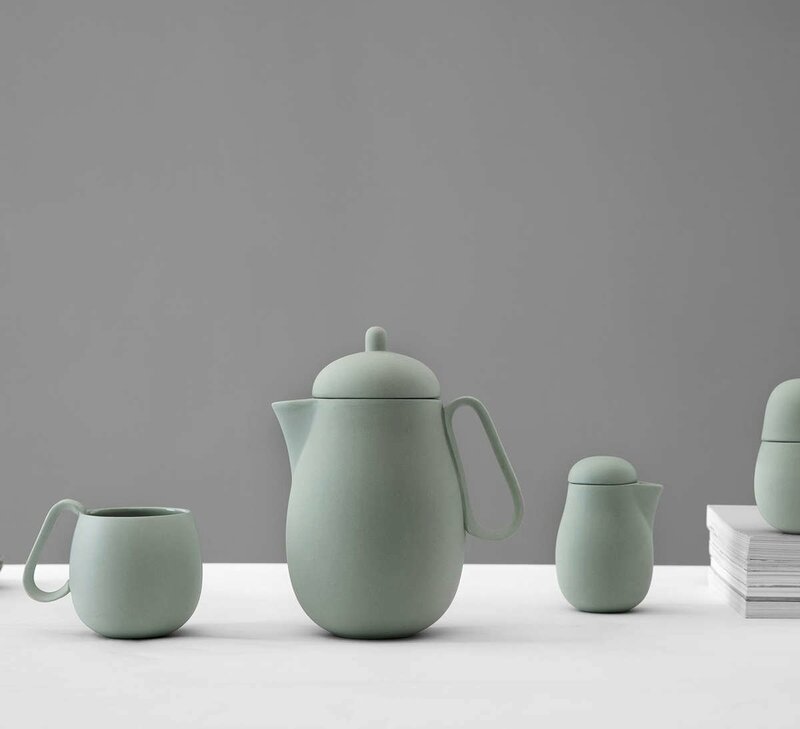 Porcelain is a wonderful, tactile material. It has been traditionally used for teapots for centuries because of its durability and heat resistance. We continue the legacy of fine porcelain teaware with this playful modern update. 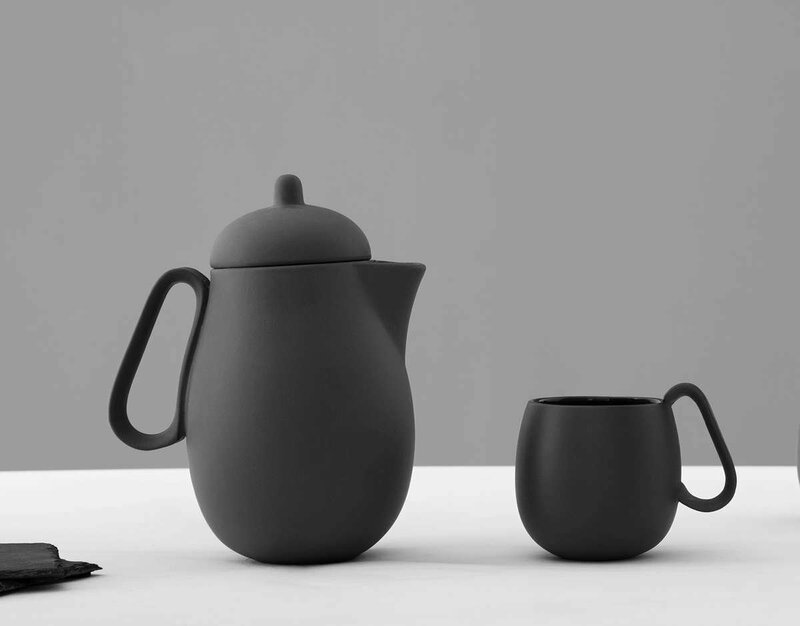 Depending on how big you like your cups of tea, the 1L Nina Teapot should hold enough tea for 3-4 cups. Perfect for a whole afternoon of quiet meditation. 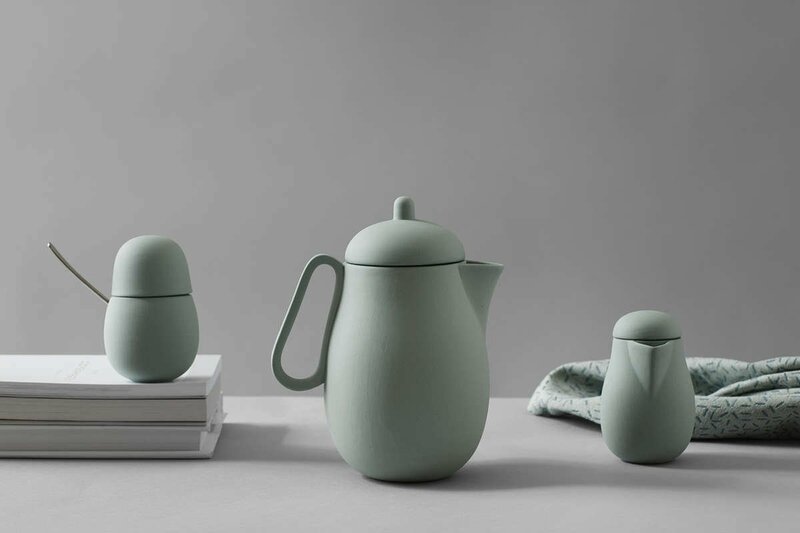 The lid of the Nina teapot simply sits on top of the body of the teapot. We recommend placing a finger or two on top of the lid to keep it secure while pouring. Yes, the Nina Teapot comes with a high quality fine mesh stainless steel infuser. This means you can enjoy your favourite loose-leaf teas with comfort and ease. It also also easy to remove the infuser once your tea is finished brewing.